Our pets get achy muscles, uncomfortable joints and occasional skin rashes, flaking and itching just like we do. Especially when they overdo it. Or as they age. 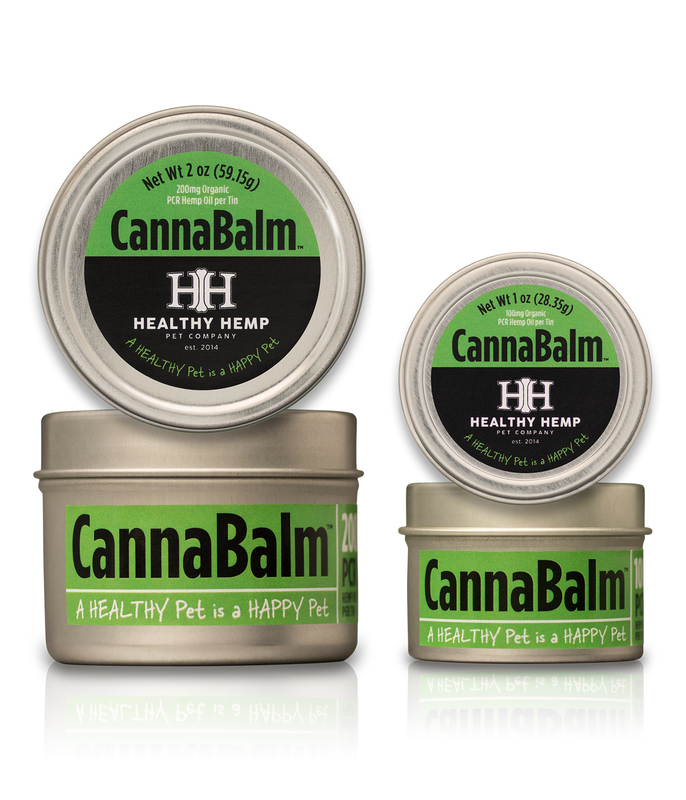 Healthy Hemp Pet CannaBalm™ is a healthy, natural organic full-spectrum terpene rich PCR hemp oil salve created to help soothe your best friends’ stiffness and ease movement. 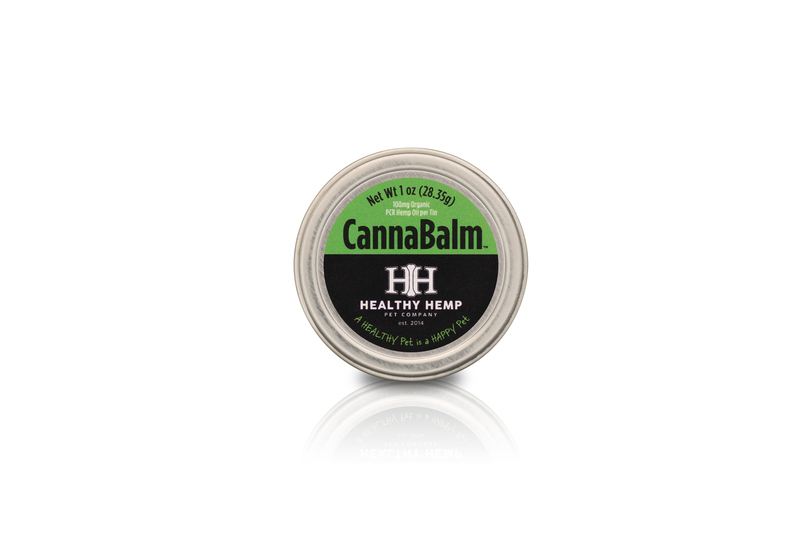 Customers report using CannaBalm successfully on horses and dogs—and even themselves—to soothe occasional rashes and ease discomfort from overuse and aging. 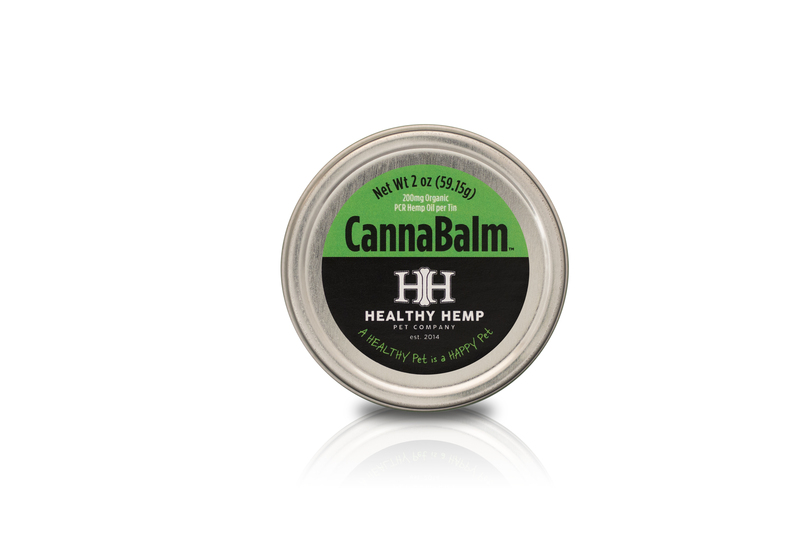 CannaBalm is crafted in small batches locally in Utah with love from these natural ingredients: olive oil, coconut oil, beeswax, vitamin E, and organic full-spectrum terpene rich PCR hemp oil. A 1 oz reusable tin of CannaBalm contains 100 mg of PCR hemp oil. 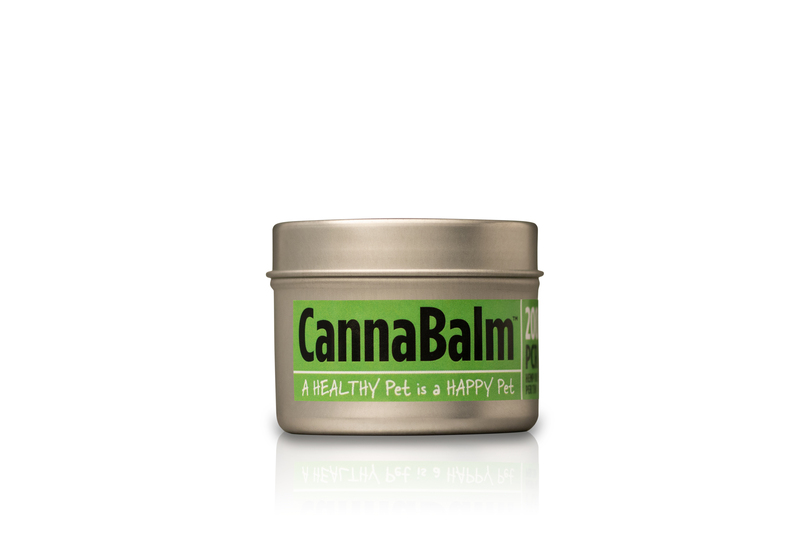 A 2 oz reusable tin of CannaBalm™ contains 200 mg of PCR hemp oil. Apply generously to affected area, or to hairless areas such as inside ears or inside legs. Use every 4-8 hours as needed or recommended by a veterinarian. CannaBalm™ is now DOUBLE the strength for the SAME price! And with a snazzy bright new label served up in a reusable metal tin. Don’t be confused: this the exact same small batch product, the same pure ingredients, made by the same local Utah friends. We just put more organic full-spectrum terpene rich PCR hemp oil in every reusable tin. Hemp oil is an excellent source of omega-3 and omega-6 fatty acids important for tissue repair. 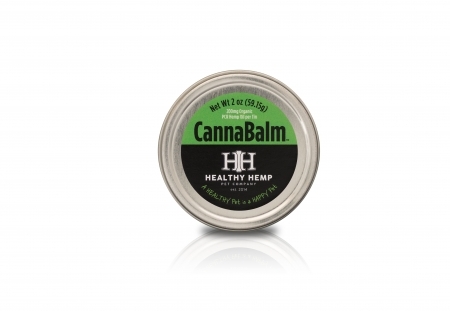 CannaBalm may help with temporary flaking and itching. The difference is that our hemp oil partner’s proprietary Vapor Distillation—the purest process currently available—delivers clean, 100% solvent-free, naturally phytocannabinoid-rich (PCR) hemp oil from the flowers and leaves of naturally developed strains of industrial hemp grown organically and legally in Colorado under a Department of Agriculture program. First time buyer but excellent review from my sister-in-law. Her vet recommended you product to her for their two dogs. This has helped my dog so much with so many different things from joint, muscle, and sore pains. love this product.